Old First is a beautiful space for a sacred moment in a couple’s life. In line with the openness of our faith tradition, we invite you to design the ceremony that matches your journey as a couple. 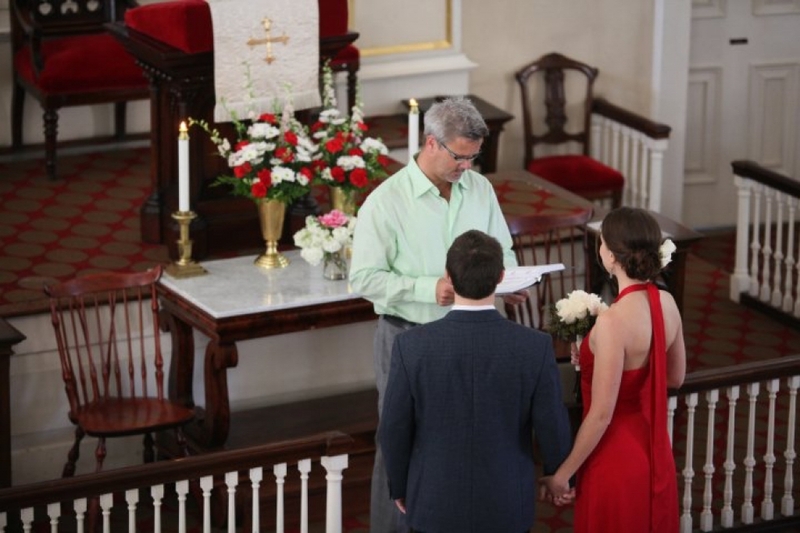 We have had weddings at Old First that are as traditional as our historic sanctuary and ones modeled after a Quaker meeting. Choose the music, rituals, and vows that you prefer. As an Open & Affirming Congregation , we marry all couples, without regard to their gender. The United Church of Christ’s Book of Worship reminds us that: “The essence of marriage is a covenanted commitment that has its foundation in the faithfulness of God’s love.